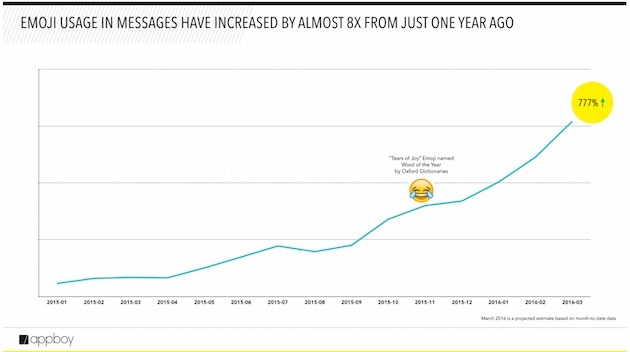 The use of emojis in marketing messages sent by brands via email and mobile has increased 777% since the start of 2015, according to a recent report from Appboy. The report was based on an analysis of 9,359 marketing campaigns from Appboy clients. The researchers examined the use of emojis in iOS push messages, Android push messages, and emails. 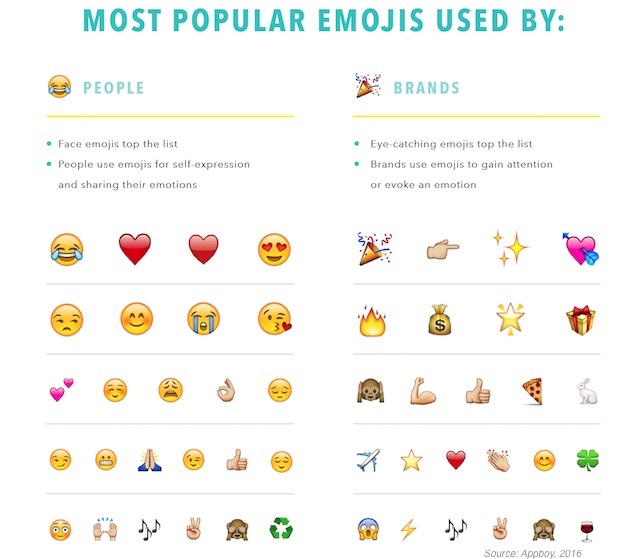 Emoji use by brands has continued to rise rapidly in the first few months of 2016, the analysis found. The inclusion of emojis in marketing messages has grown by 20%, on average, month-over-month so far this year. Brands and consumers tend to use different emojis, the analysis found. The most used emojis by brands are the the party popper, pointing finger, and sparkle; all of those are generally used to gain attention. 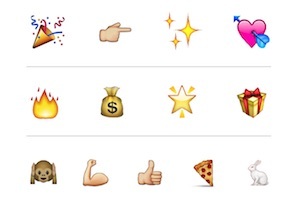 In contrast, consumers use emojis that convey emotion most frequently, such as the tears of joy face and heart. About the research: The report was based on an analysis of 9,359 marketing campaigns from Appboy clients. The researchers examined the use of emojis in iOS push messages, Android push messages, and emails.